Taking a very hands-on approach, Belmont’s College of Science and Mathematics recognizes the benefit of active learning and research in training future scientists and mathematicians. Studies have demonstrated that conducting research has many benefits for undergraduate students including learning new laboratory techniques, developing more effective communication skills, deepening understanding of the field, learning about a variety of work environments and exploring countless areas of emphasis. Because of these benefits and more, the College promotes two programs that provide students with opportunities to complete research throughout the summer months – Summer Scholar Communities (SSC) and Summer Undergraduate Research Fellowships (SURFs). SSC students receive course credit while SURFs students receive a stipend for their participation. Both groups of student researchers conduct original research as part of a team, guided by a faculty mentor. Throughout the summer, these groups meet to share their challenges and successes. At the end of the summer session, student researchers prepare poster presentations that summarize their project design, data and conclusions. These posters are shared with the Belmont community after classes resume in the fall. This event allows the student researchers to hone their communication skills while providing a forum for scientific discussion and highlighting the research opportunities available. 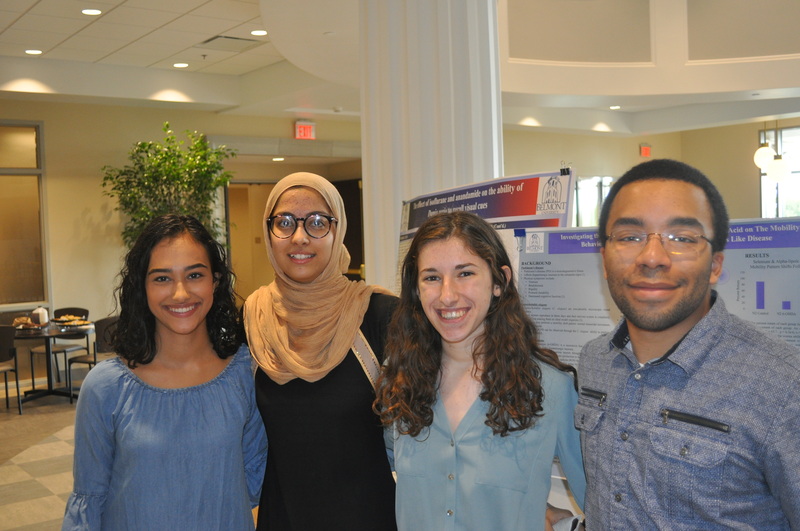 Most recently, on Friday, September 14, students displayed their posters in the Janet Ayers Academic Center on topics related to biology, chemistry, environmental science, mathematics, pharmacy, physics and psychology.